The Ambassador of Switzerland to Egypt Paul Garnier, said that next period will witness an announcement of a variety of important development projects, which Switzerland is working on to help contribute to Egypt’s reform agenda, as set out in the country’s 2030 vision. 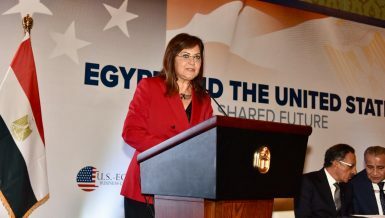 The ambassador told Daily News Egypt that a particular focus for the coming period is on Upper Egypt, one of the regions that has been most impacted by the country’s recent economic challenges. 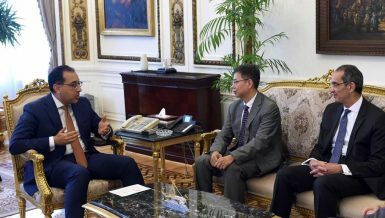 Garnier affirmed that his country enjoys long-standing and multifaceted bilateral relations with Egypt, adding that the partnership between both countries extends into a very wide variety of fields including politics, economic and development cooperation, culture, media, education, and even sports. “There are a lot of Swiss state entities in Egypt and the embassy recently integrated them all under its umbrella. 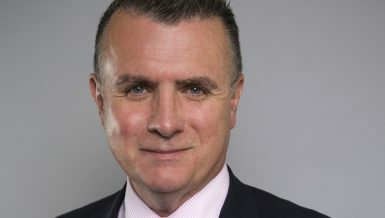 These are the embassy’s Diplomatic and Consular Divisions, the embassy’s International Cooperation Office (OIC), and the Cairo office of Pro-Helvetia, Swiss Arts Council,” noted the ambassador. 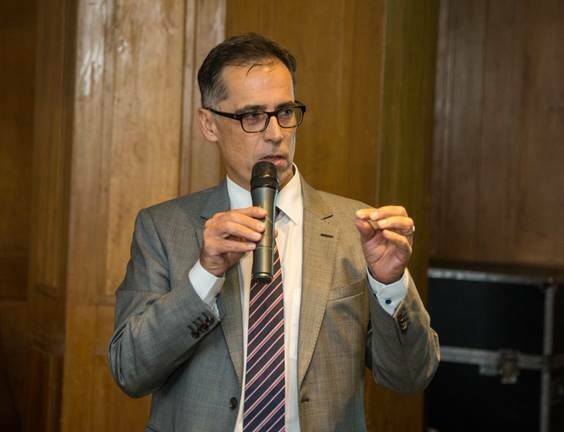 The Swiss embassy also works closely with other Swiss entities in Egypt including the Swiss-Egyptian Business Association (SEBA), the Swiss Archaeological Institute, the Swiss Club in Cairo, and the Swiss Club in Alexandria, said the ambassador. 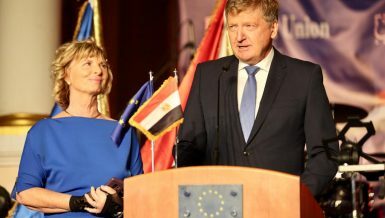 The embassy’s International Cooperation Office is currently in the process of implementing its 2017-2020 cooperation strategy for Egypt, signed in Cairo in December 2017 between Switzerland’s State Secretary of Economic Affairs Marie-Gabrielle Ineichen-Fleisch and Egypt’s Minister of Investment and International Cooperation Sahar Nasr, mentioned Garnier. Additionally, the Swiss ambassador said that his embassy is also very active on the cultural front in Egypt, mentioning, “earlier this year we produced a phone application called Swiss Trail that uses GPS systems to showcase 20 Swiss-influenced landmarks across Cairo, including historical hotels, villas, gardens, and buildings once built or run by Swiss citizens in Egypt,” adding, “we also organised this year, in cooperation with Egyptian football academy AIMZ, two days of a football tournament in Cairo, in which more than 200 teenage girls participated,” noting that his country is looking forward to organising more events during the second half of the year that will contribute to boosting development and culture. Meanwhile, DNE, exclusively got a document from the embassy clarifying that total trade volume between Switzerland and Egypt for 2017 amounted to CHF 1.23bn equivalent to $1.20756bn, a slight decrease compared to 2016, where the trade volume was 1.32 billion Swiss francs about $1.32832bn. Document noted that 2017’s trade volume remains higher than 2015 where it was CHF 967.8m or about $973.899m. Moreover, the document noted that Swiss companies working in Egypt are availing around 13,000 job opportunities, adding that Swiss companies in Egypt work in a broad range of sectors including logistics, construction, electrical equipment, hotels and hospitality, pharmaceuticals, and food production. Some of the many Swiss companies working in Egypt include ABB, Bühler Group, Credit Suisse, Egy-Swiss, Givaudan, Hero, LagargeHolcim, Mövenpick, MSC, Nestlé, Novartis, Panalpina, Philip Morris, Roche, Schindler, SGS, Soudanco (representing Lindt and Emmi), Swiss International Airlines, and Syngenta, among others. The document said that the embassy works closely with the Swiss Egyptian Business Association (SEBA), which is a non-governmental organisation established in June, 2004. The SEBA has been established and founded by a number of Swiss Egyptian businesspersons under the auspices of the embassy of Switzerland in Egypt, noted the document, clarifying that the SEBA’s mission is to enhance and strengthen industrial and commercial relations between the two countries towards development and economic growth. Moreover, the SEBA’s goals are done by supporting and disclosing new business and market opportunities for industries trade and services in Egypt, and ensuring sustainable economic relations between Egypt and Switzerland, taking into consideration the social, political, and cultural aspects of the two countries. 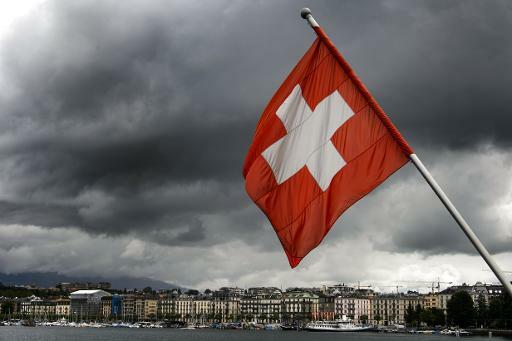 The document mentioned that Switzerland and Egypt look back on 40 years of successful bilateral development cooperation, adding that in response to the popular calls for reforms, Switzerland launched a holistic programme in 2011. The programme supported democratic processes and human rights, economic development, employment, migration and protection, with a budget of CHF 83m about $83.5231m, noted the document adding that six years later still Switzerland remains committed to accompanying all Egyptians in their efforts to build the future of their country. “With the new 2017-2020 Cooperation Strategy, Switzerland continues to support Egypt’s comprehensive reform agenda as set out in the 2030 Egypt Vision,” mentioned the document, noting that the Cooperation Strategy is being implemented by the Swiss embassy’s Office for International Cooperation, building on earlier achievements relating to the overall goal of supporting Egypt’s transition in its political, economic, and social dimensions towards an inclusive, resilient and accountable state and society. The budget for the projects of the embassy’s Office for International Cooperation increased to CHF 86m about $86.5420m for the period of 2017-2020. The work of the embassy of Switzerland’s Office for International Cooperation focuses on three domains, which are Democratic Processes and Human Rights, Inclusive Sustainable Economic Growth, and Employment and Protection and Migration, said the document. The first domain’s priority is to enhance capacities of state institutions and civil society to collaborate. This is for example the case with the Swiss support to the government’s strategy to reduce the population growth rate and raise awareness on issues related to family planning. Through this domain, Switzerland shares its expertise in building networks and convening dialogue, in order to encourage citizens’ participation in decision making processes. 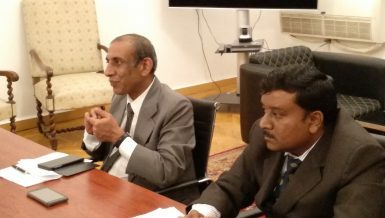 The second domain’s priority is to improve access to sustainable basic infrastructure services and inclusive urban development, increase resilience of the economy generating more and better jobs through a more competitive private sector, as well as avail more inclusive financial services and an improved business environment. 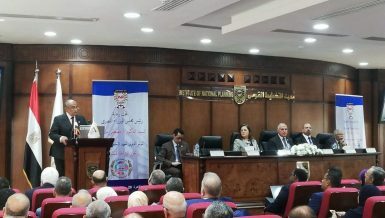 The document noted that this year, the embassy of Switzerland and Egypt’s Ministry of Housing, Utilities, and Urban Communities launched “Hayenna” (Our District) project, which aims to help local government units in the Upper Egyptian governorate of Qena to sustainably manage their land and new urban development initiatives. Hayenna project implementation duration is six years and with a budget of $11.8m, the project will boost related local revenues and increase quality of living of the communities. Moreover, $8.1m is financed by the Swiss State Secretariat for Economic Affairs (SECO) and $3.6m by the Egyptian government. The main project partners are the Ministry of Housing’s General Organisation for Physical Planning and UN-Habitat. The third domain’s priority is to mitigate the risks of irregular migration by enhancing protection services and strengthening the self-reliance of vulnerable groups. This is achieved by strengthening protection of vulnerable migrants through better access to basic protection services, such as psychosocial support, and legal aid. It is also achieved through boosting improved self-reliance and socio-economic resilience of vulnerable groups, by providing better access to livelihood opportunities, including income generating activities and microfinance. For example, this domain finalized a two-year project in December 2017 that was helping Egyptian returnees from Libya to boost their entrepreneurship and job orientation. The project helped 1,322 people in total in Fayoum, Minya, and Dakahlia to create their own ventures and become economically self-reliant. There are almost 1,800 Swiss citizens living in Egypt. They work in a wide variety of fields—from food production to art, business, and engineering. The first Swiss official delegation came for the opening of the Suez Canal in 1869. Then, the first Swiss trade legation in Egypt was established in 1909. In 1919 followed the first chamber of commerce. In addition, the first chancellery opened in 1945, and the embassy opened in 1957. 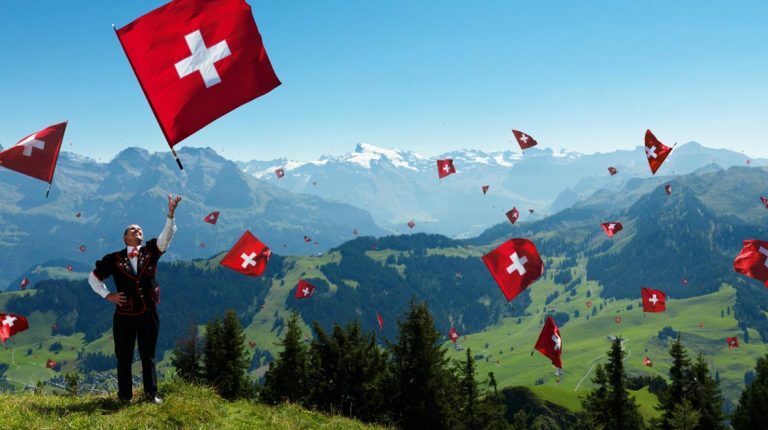 Switzerland played a role in a historic step that helped Egypt establish sovereignty and gain full independence. Eighty years ago, on 8 May 1937, the Montreux Convention Regarding the Abolition of the Capitulations in Egypt was concluded. By providing a neutral platform, Switzerland offered a conducive atmosphere to multilateral talks that placed foreigners in Egypt under the Egyptian legal system. Throughout the past 40 years, Switzerland and Egypt developed their cooperation in the domain of economic cooperation and development. At the political level, as a neutral country, Switzerland represented the interests of Italy in Egypt in 1940, those of France and Great Britain in 1956, and those of Iran following the revolution in 1979. Switzerland also hosted an arbitrary tribunal between Egypt and Israel in 1988. Today, Switzerland watches with interest Egypt’s engagement in foreign policy, as a promoter of peace and stability in the region and in the multilateral arena—United Nations Security Council 2015-2017, League of Arab States, African Union, and Chairmanship of the G-77 since the beginning of the year—regarding issues in the Middle East and Africa.